﻿ Escape Zone - Ohio. Find It Here. 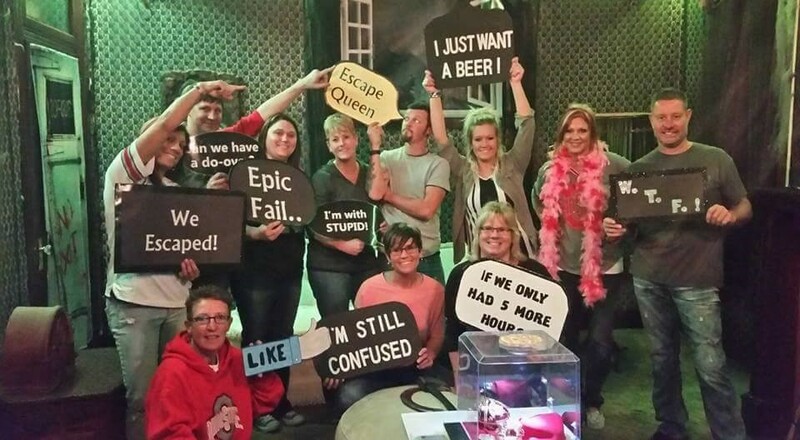 A REAL-Life escape room experience. Locked in a room with up to 9 other participants, you must use the elements of the room to escape. You only have 60 minutes to complete your task of searching for clues and solving puzzles. Teamwork is essential for your success! Come with friends, family, and coworkers and have a great time.Experiences include: Haunted Mansion, Insane Asylum, and Secret Treasure at Pirate Cove.